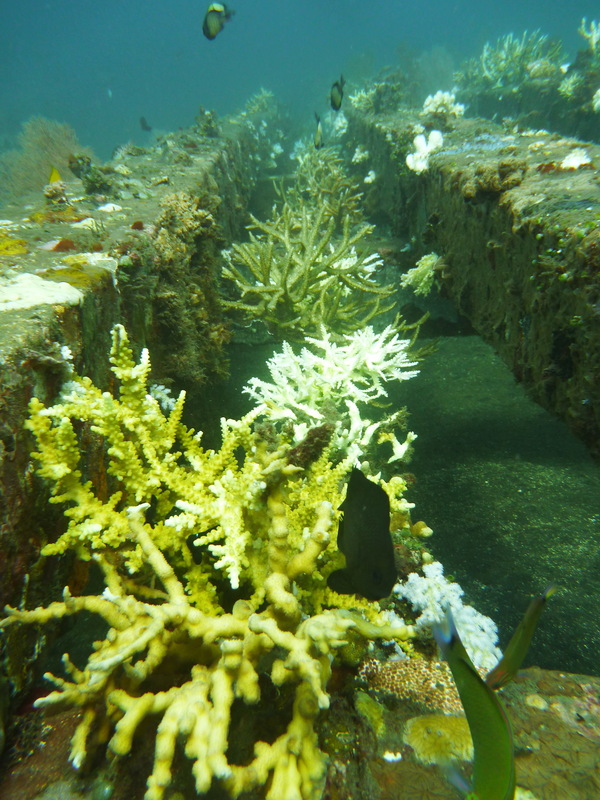 A resilient coral and a bleaching coral at the coral rope nursery. 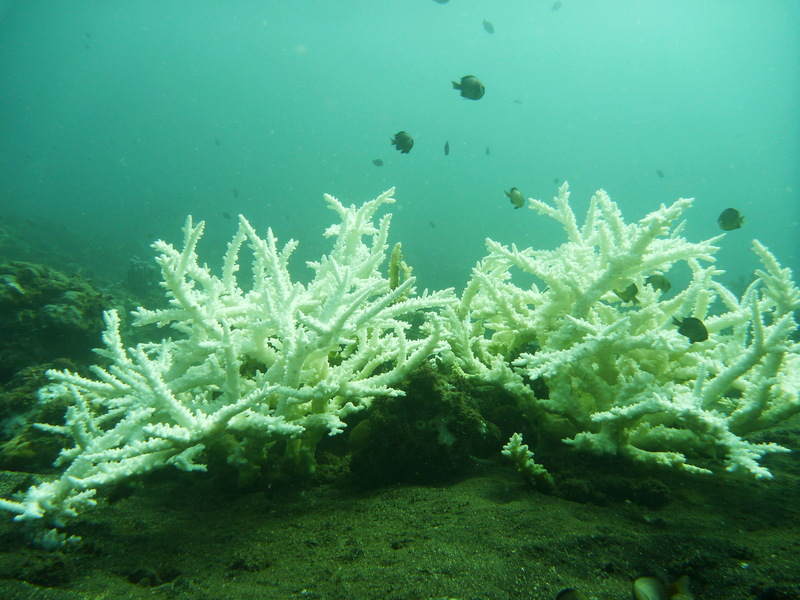 Sea Communities started today to focus on the positive side of coral bleaching -- resilient corals. 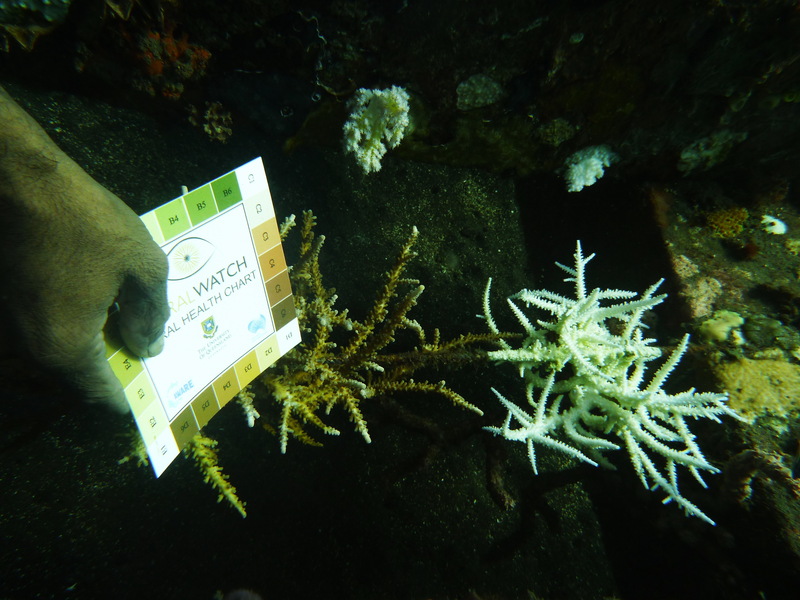 In Les Village, we zeroed in on the two lines of the Coral Rope Nursery at the adopt-a-coral structure and made an inventory of transplanted corals that are bleaching and those that are thriving. 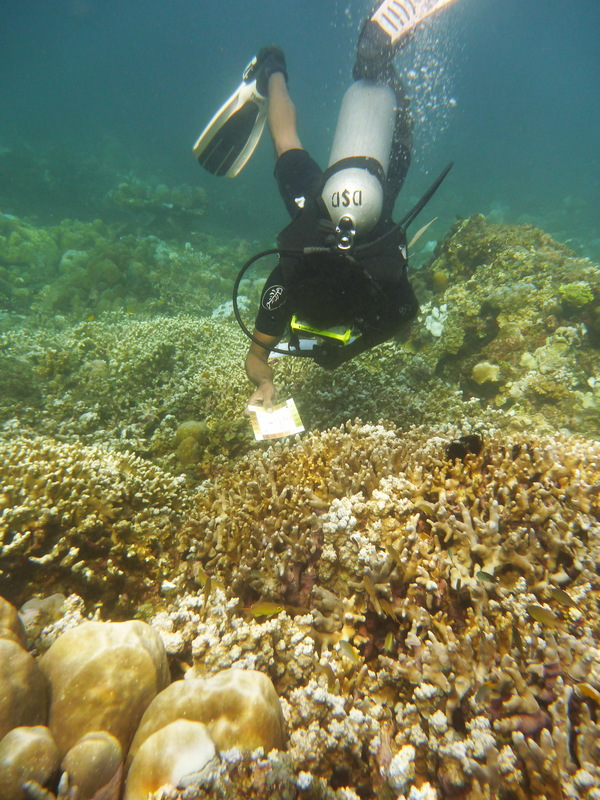 We also selected several natural corals sites that were once source of transplanted corals and, like in the coral rope nursery, made an inventory of those are are bleaching and those that are thriving. 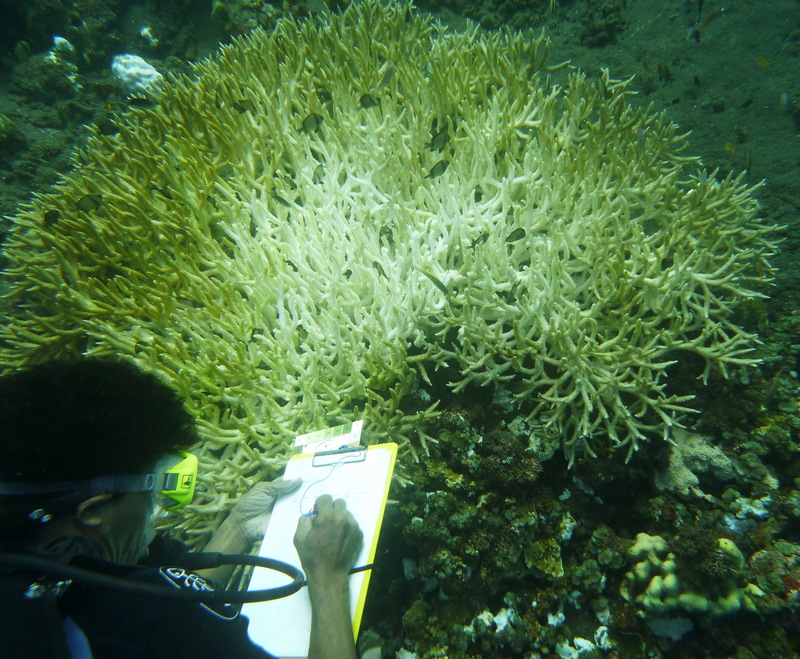 The monitoring will be done periodically to determine which are the more resilient coral species in this part of Bali. 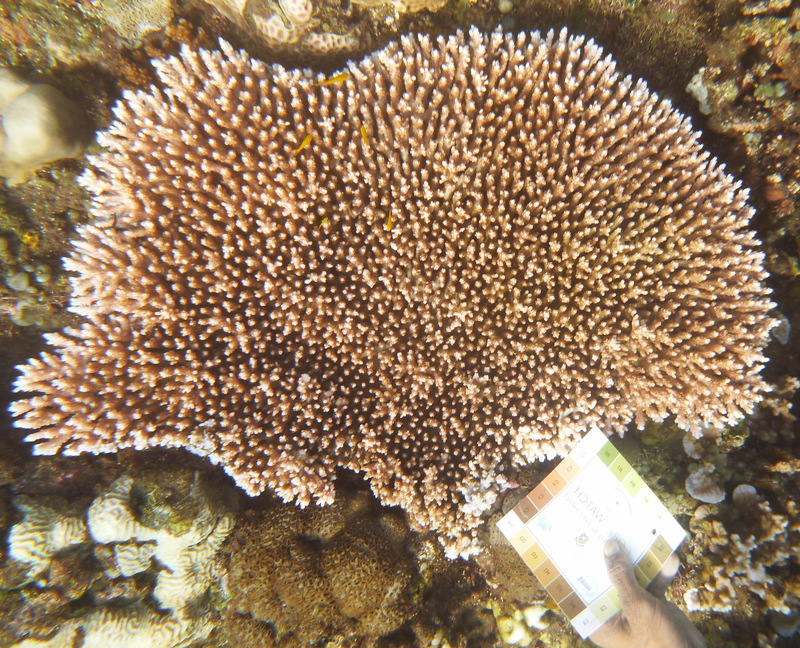 This will guide the selection of coral stocks in future coral plantings. 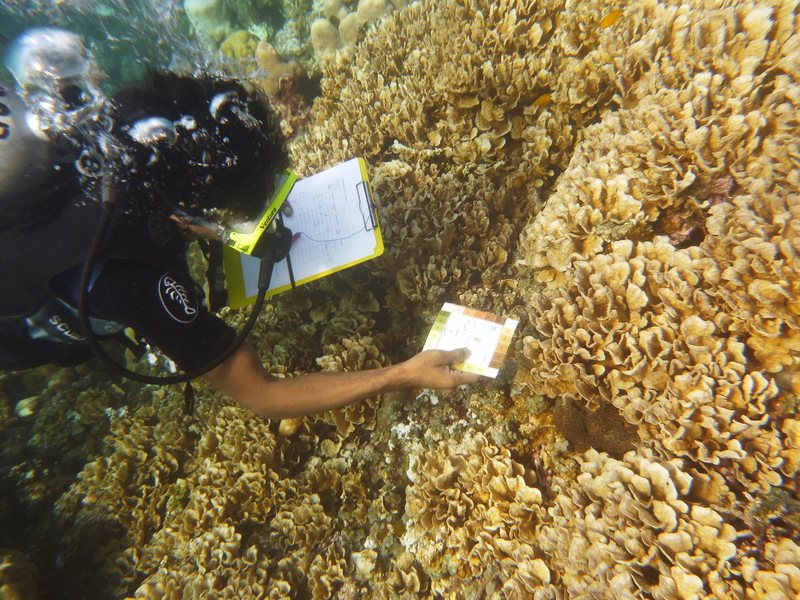 Sea Communities is doing the monitoring upon recommendation by and under the auspices of Lutfi Afiq Bin Rosli and Daisuke Taira of the Tropical Marine Science Institute of the National University of Singapore and Pahlano Daud of the Manado State Polytechnic. 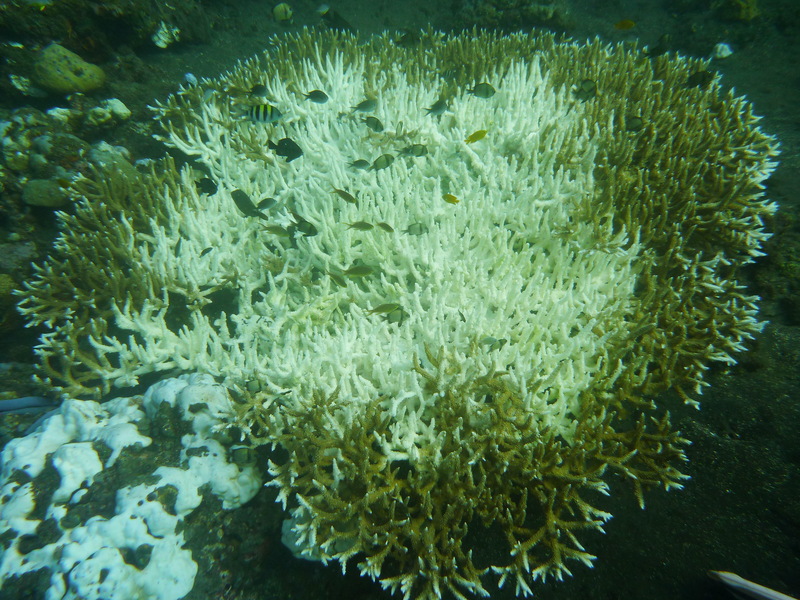 The dive done last May 18 showed that coral bleaching continues to spread among the corals of Les Village.The biggest table coral in the METRO coral garden is among those that have bleached. 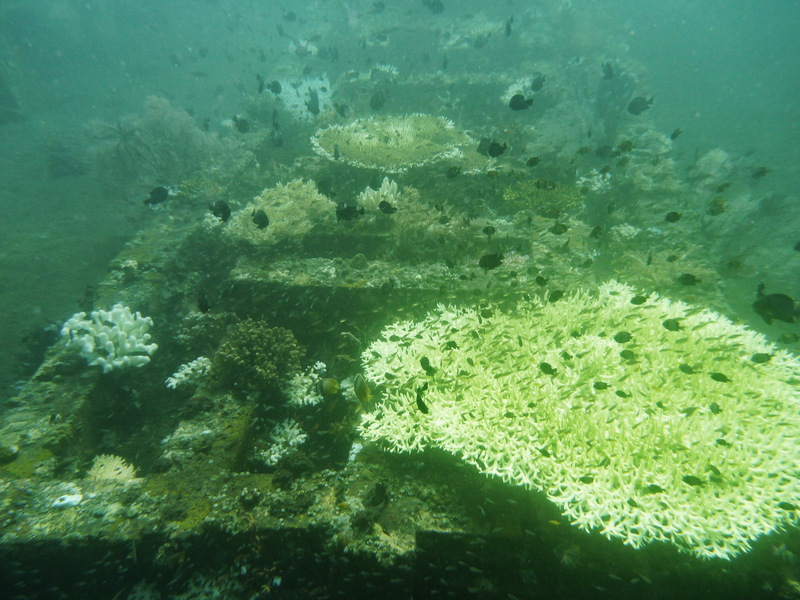 In the coral rope nursery, some corals died, other continue to survive. Those with extended finger-like branches suffered most. 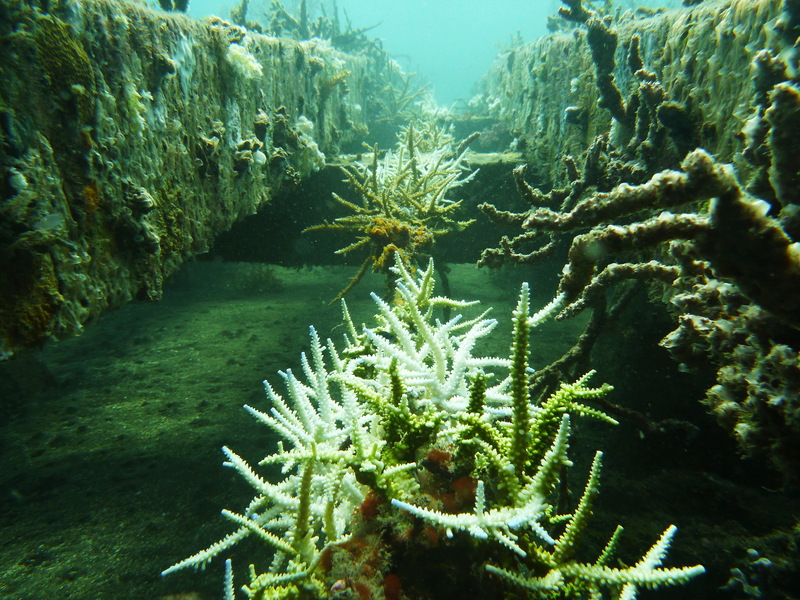 Coral reef rebuilding in Les Village tracks nature’s own rule on propagation and evolution. 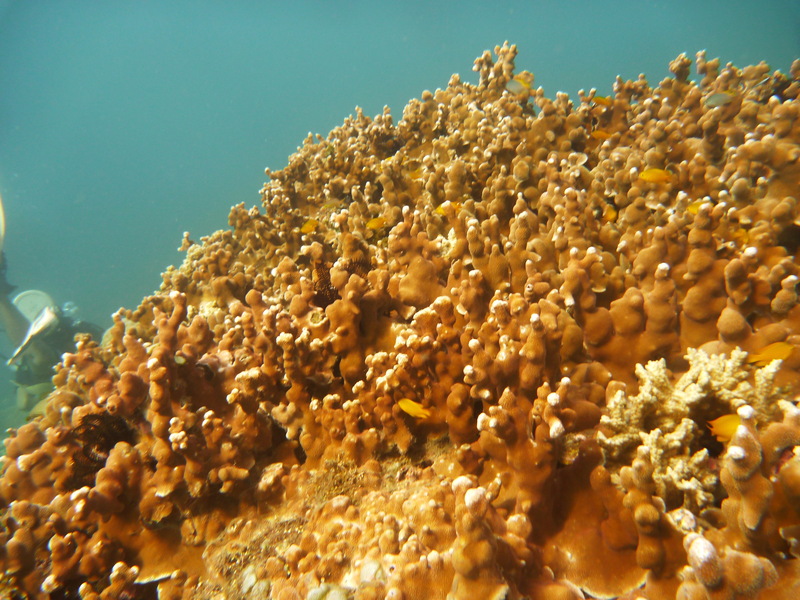 In the beautiful world of corals, survival belongs to the fittest.